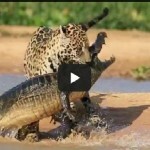 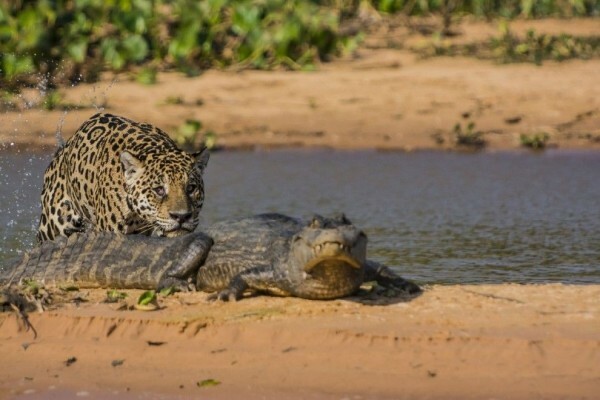 Pantanal, BrazilA jaguar ambushes a stunned caiman – by exploding from a river like a crocodile. 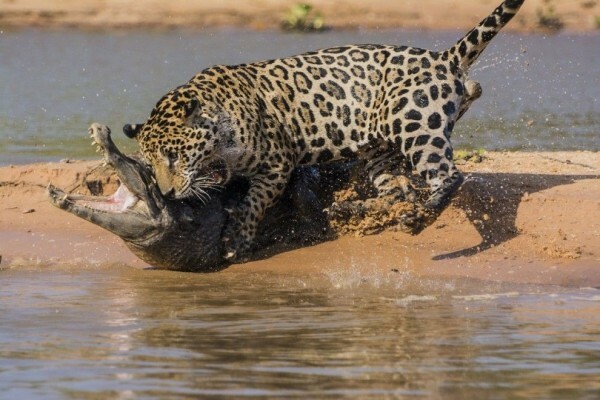 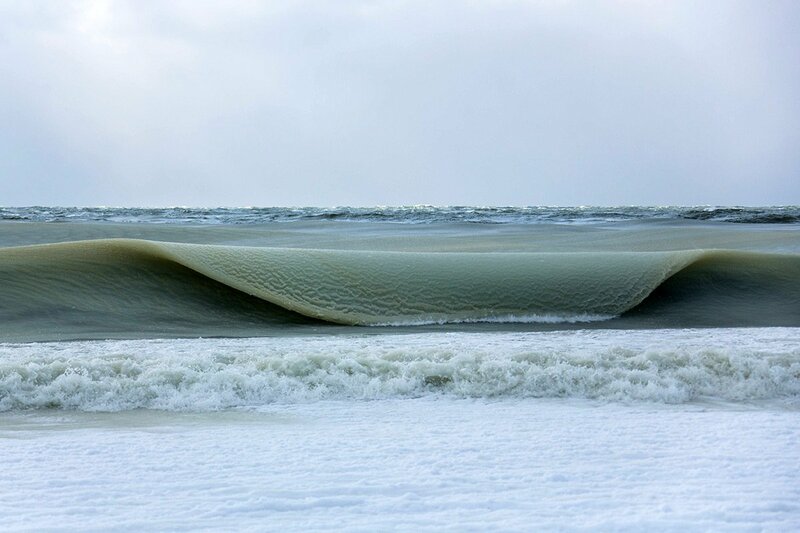 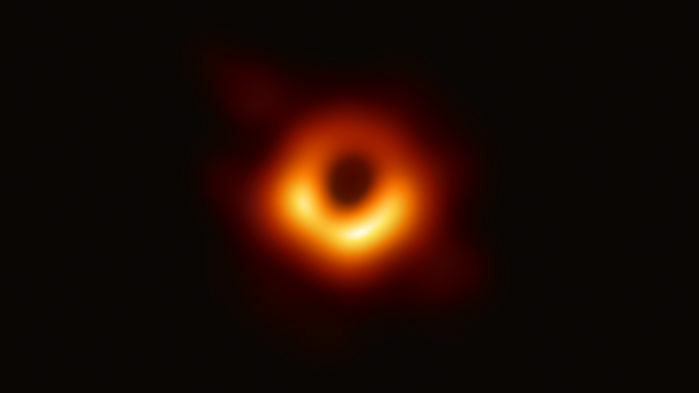 The 20-stone cat then sinks its teeth into the 8-foot reptile before dragging it back across the water and into the jungle. 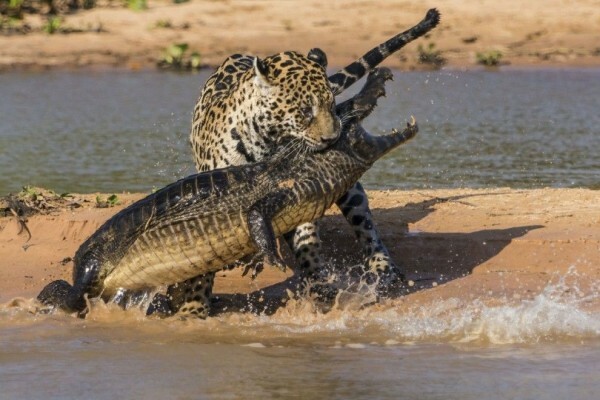 The unbelievable kill sequence was captured by photographer Justin Black, 39, in the Pantanal Wetlands of Brazil.